Type of government: Constitutional, based on the Napoleonic Code. Country name: Formerly the Republic of Bolivia (shortened locally to Bolivia) but in 2009 Evo Morales' government changed the name of Bolivia to "Plurinational State of Bolivia". 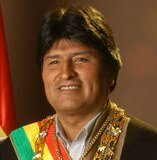 The Bolivian Constitution: President Evo Morales and his political party the M.A.S. (meaning Movement Toward Socialism) drafted a new constitution which was highly debated and negotiated until finally in October of 2008 the text was agreed upon in Congress, although some who opposed it believe it was agreed upon under duress as thousands of M.A.S. party supporters surrounded Congress to force a decision. Congress members were unable to leave and were forced to sleep in the building for several days. Approximately 60% of Bolivia's citizens voted to approve the new constitution during a national referendum on 25 January 2009 after months of dispute. The 1967 constitution (revised in 1994) provides for balances to three-way power between the executive, legislative and judiciary branches of government. However, the executive branch wields significant power while Congress generally debates and approves legislation the executive initiates. The judiciary branch is comprised of the Supreme Court and lower departmental courts. The judicial system and processes were reformed with the 1994 revision of the constitution. In August 2006 Bolivia held its first “Constituent Assembly” since 1938 with the intent to revise and reform the Constitution once more. Despite the purpose of holding a constituent assembly, President Evo Morales nominated his indigenous followers to head this revision, which took place inside an army barracks while opposition Congress members were locked out and unable to participate. This led to disputes which Morales' government squelched, resulting in several deaths. The Bolivian government pushed forward with revisions despite opposition from a large portion of the population and in 2009 Bolivians voted on to approve the new Bolivian constitution. National elections, ideally, are set to be held every 5 years; however, throughout the past 175 years of Bolivia's history the country has had nearly 200 heads of state. Legislative Branch of the Government: National Congress consisting of a Chamber of Senators (27 seats elected by popular vote for 5-year terms – 3 per department). Chamber of Deputies (130 seats. 69 are directly elected by popular vote for 5-year terms – by population percentiles. 61 are elected by proportional representation from party lists to serve 5-year terms). Judicial Branch of the Government: Supreme Court (judges are appointed for 10-year terms by National Congress). Changes to this were being proposed in 2011. Legal system: Modeled after Spanish Law and the Napoleonic Code. National Government Ministries Ministry of Rural Development and Agriculture, Ministry of Defense, Ministry of Economic Development, Ministry of Education, Ministry of Finance, Ministry of Foreign Relations and Worship, Ministry of Government, Ministry of Health and Sports, Ministry of Hydrocarbons, Ministry of Labor, Ministry of Mining and Metals, Ministry of the Presidency, Ministry of Services and Public Works, Ministry of Planning and Development, Ministry Without Portfolio for Justice, Ministry Without Portfolio for Water. (Since Evo Morales was elected, some ministries have been renamed and some new ones have been added such as the "Anti-Corruption Ministry"). Capital of Bolivia: Bolivia is the only country in South America to boast two capital cities: Sucre (constitutional capital and seat of the judiciary branch), and La Paz (de facto capital and seat of executive and administrative branches since 1898). One of them is not really a capital city. See which city is the actual capital of Bolivia. Political divisions: 9 geographical states called "departmentos": Beni, Chuquisaca, Cochabamba, La Paz, Oruro, Pando, Potosí, Santa Cruz, Tarija. The Administrative Decentralization Law of 1995 provides for greater departmental (state) autonomy. On 18 December 2005 prefects (departmental “governors”) who prior to this date were appointed by the President, were elected by means of a popular vote. 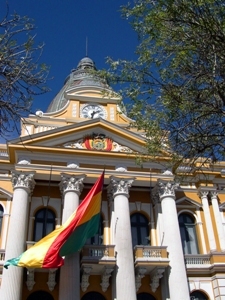 Bolivian cities and towns are governed directly by mayors and city councils, elected to 5-year terms. The Popular Participation Law of 1994 permits municipalities to use a portion of national revenues at their own discretion, enabling previously neglected communities to improve their facilities and services. Independence: First proclaimed in 1809. First signed Declaration on Independence, 6 August 1825 (national holiday). (See photos of Bolivian Independence Day here). Bolivia Flag: Originally three stripes (green-red-green). Then yellow-red-green. Now red-yellow-green. Click to view the Bolivian flag and coat of arms, as well as the flags of each department. National Flower: The Kantuta (Cantua buxifolia or Fuchsia buxifolia) is a flower found in the high valleys of the Yungas, and is not the only national flower of Bolivia. The country's other floral emblem is the Patuju. Read the Incan legend of the Bolivian kantuta here. 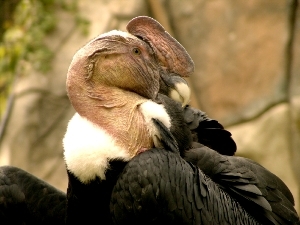 National Bird: The Andean Condor (the largest bird in the Western Hemisphere). National Animal: The Andean llama (pronounced "ya-ma" not "la-ma") has been bred and used as a pack animal by indigenous peoples of the Andes for thousands of years. It is related to the alpaca, the vicuña, and the guanaco. All are camelids (related to the camel). Area: Current area: 1,098,581 square kilometers (424,162 square miles). Originally part of the Viceroyalty of Alto Perú, it lost territory to Brazil, Chile and Paraguay. Population: Estimated at 8,858,000 in 2005. Estimated at 9,982,000 in July 2006. Click here for more information on the population of Bolivia. Bolivian national anthem: As in most other countries, the national anthem is usually played by a marching band. Bolivia's national anthem is nearly 6 minutes long. More on the Bolivian national anthem here. Foreign relations: Throughout its history Bolivia's government has maintained normal foreign relations with all nations in the Western Hemisphere except for Chile (due to Bolivia's defeat and loss of territory to this country in the War of the Pacific in 1883). Bolivia participates in the Organization of American States, the Río Group, the MERCOSUR, and is a member of the United Nations, the Andean Community, The ALADI (Latin American Integration Association), the World Trade Organization, and the Amazon Pact, and many other governmental and international organizations. Current president Evo Morales Aima is highly critical of US policy and is regularly advised by other politicians such as Fidel Castro, former dictator of Cuba and Hugo Chávez, president of Venezuela. The eradication of coca crops and illegal drug trafficking in the Chapare region of Bolivia has played an important part in dampening US-Bolivia relations; however at this time the US continues to be a major partner for economic development, educational, health and environmental development. Many nations maintain consular agencies and Embassies in Bolivia. Bolivia’s government and chambers of commerce and industry work hard to increase and improve trade relations between Bolivia and other nations. Click here for an overview of Bolivian politics. Bolivia’s Military The military has been very involved in Bolivian politics throughout its entire history, having been used by various political parties to stage coups, keep public order, and squelch members of the opposition. Several military men have been heads of state in Bolivia, having both forced their way into office by means of coups and having been elected to office. Click here for more on the history of Bolivia. Military Branches: Bolivia has four military branches. 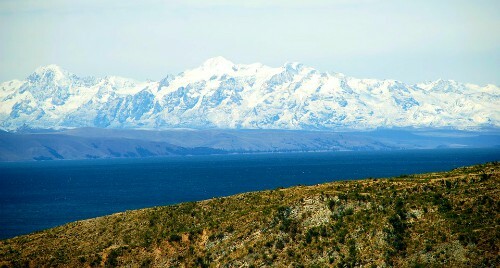 Interestingly, despite being landlocked, Bolivia's Navy carries out drills and exercises on Lake Titicaca.